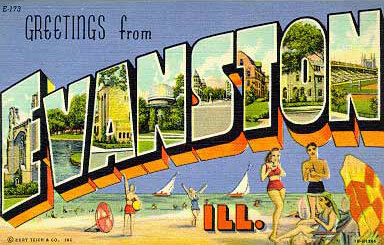 bruce springsteen – Page 2 – Greetings from Evanston, Ill. Such effort! I love it. Last week, Springsteen put his first truly archival download-only show on the Web: August 9, 1978, at the Agora in Cleveland. Bootlegged for years as Agora Night and other titles, the show is one of the best radio broadcasts of the Darkness tour. And the bootlegs have had a pretty good sound quality. But this official release — mastered from tapes the Rock and Roll Hall of Fame found in boxes, I like to imagine in some vast Raiders of the Lost Ark-like warehouse — sounds amazing. Star local radio DJ and critical Boss evangelist Kid Leo gets all kinds of mentions. Summertime Blues opens the show. Badlands and Prove It are raw and fast and fantastic. She’s the One gets Not Fade Away and Gloria as intros, and the thing is fierce. Growin’ Up gets the teenage werewolf story AND Bruce and Clarence meeting God. And more. Let it rock. … and finding this video of my car getting its first real car wash in far too long, a couple weeks ago. I could watch this all day. And I probably should. Second place: Sexton Blake covering Hungry Heart (full album). Scuzzy, tripping, warm. Been playing it on repeat tonight. Not a great day. The first two links come from its quality email newsletter. Bruce and E Street covering Clampdown. Solid cover, really clean mics. Lucinda Williams, Are You Alright? I think I’ve posted this song here before, back when… I don’t remember. I associate with some Will Ferrell movie… one of the comedies… and that seems odd. Anyway. Was great to hear it prominently in True Detective when I caught up on that this week.